I just got back from a blissful 9 days of camping. I didn’t expect it, but I was inundated with messages when I started sharing highlights of my trip. 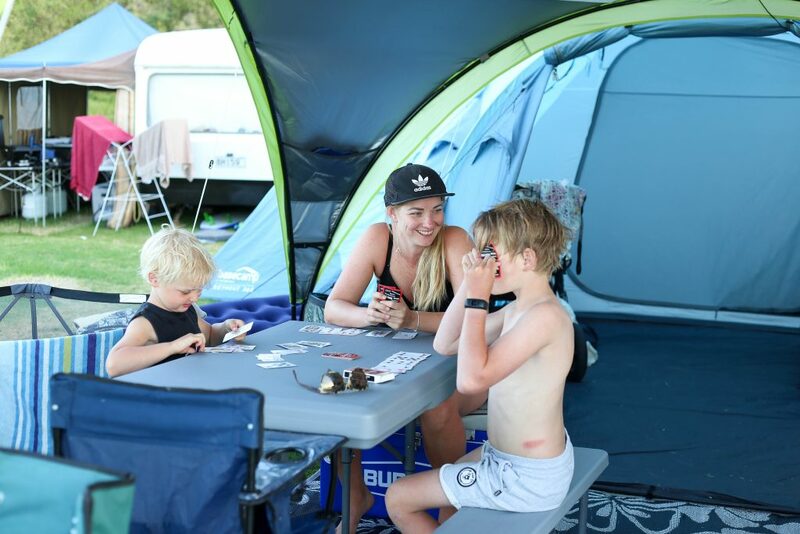 Turns out everyone wants to know everything there is to know about packing up your family and going to live in a tent for a week so I thought I would share as much as I can with you here…all my tips, tricks and hacks I have learnt over the years that work for us! 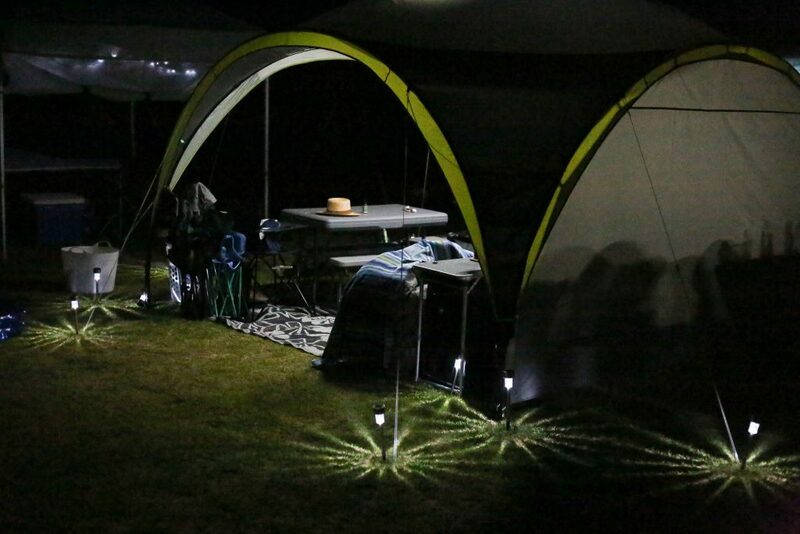 The initial idea of going camping is exciting…but then it becomes daunting and thats usually why people avoid it. Taking kids into the wilderness, living in a tent with paper thin walls with no fences and just living with the bare essentials (and some not so bare essentials) is a scary thought, especially with young kids. 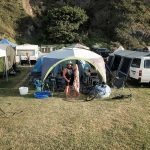 We have been camping a fair few times over the years, enjoying it more and more each time and learning from each trip, discovering new things, investing in more equipment and figuring out new ways of doing it to make it easier and more enjoyable. 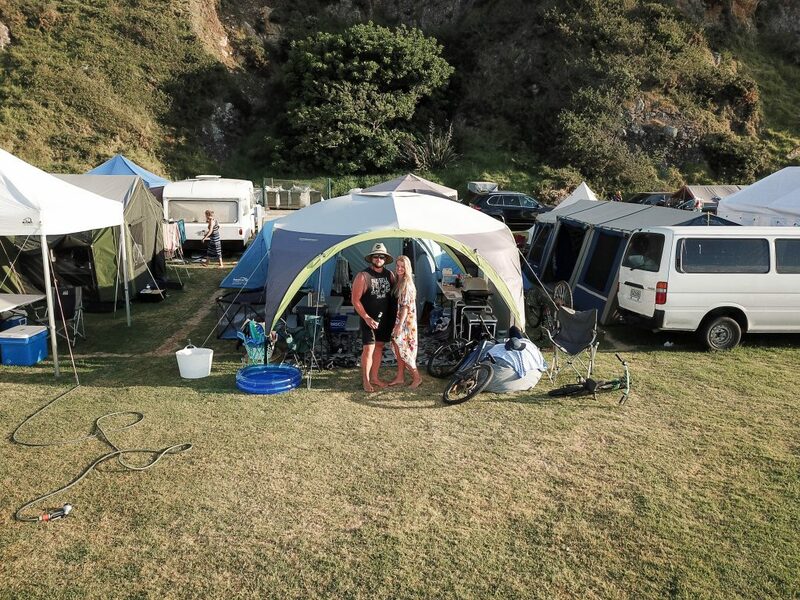 Im certainly not a minimalist camper…but when you are packing up for a week away with three kids in a tent I feel you gotta do what you gotta do to make it as easy and enjoyable as possible. Our most recent trip I feel like we pretty much nailed it. I don’t recall thinking once “oh I wish I had brought…”. 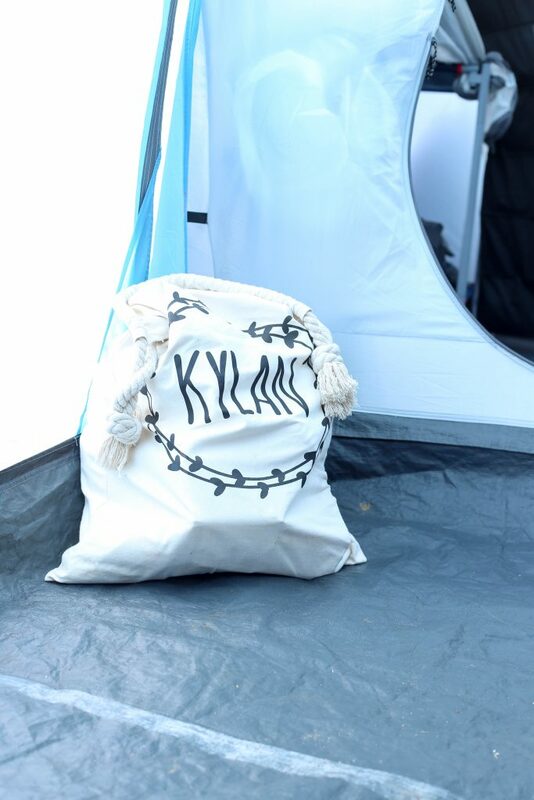 We certainly didn’t travel light, But just because you are camping doesn’t mean you have to live it rough! A lot of our stuff has been bought second hand on trade me, borrowed and just collected over the years. We got asked a lot about the tent that we used. It is a Kathmandu 360 but it is super old and second hand. 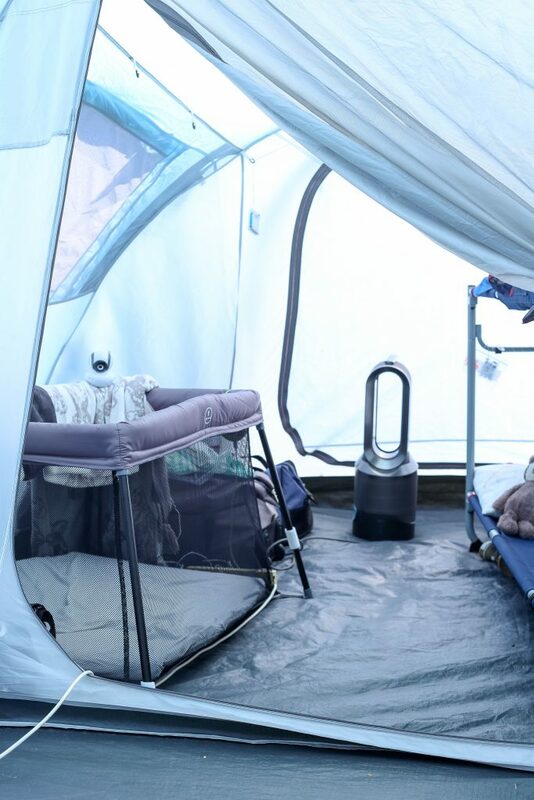 Last year in the severe weather it leaked a fair bit so I am not certain whether that is due to its age or what but we will be looking to upgrade our tent at some point and we are eyeing up one of the Zempire range. Okay lets start off with a wee tour and I will talk through each area and items as we go! A decent shelter is a game changer! 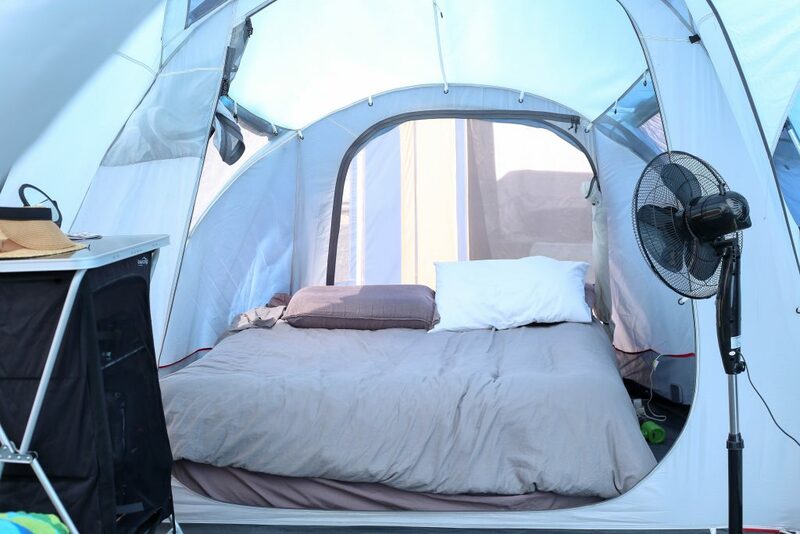 It is a whole other room to add to your tent. It is also shade which is a MUST when you get blessed with 9 days of PERFECT weather! We looked at lots of shelters at our campground and we still think ours is THE BEST! We bought this Zempire Shelter last year for our trip after looking around at all our options and it did not disappoint. We used one wall to add some more shade and shelter from wind which helped create a cooking space. It also added a bit of privacy from our neighbours. The Mat is just from Look Sharp. 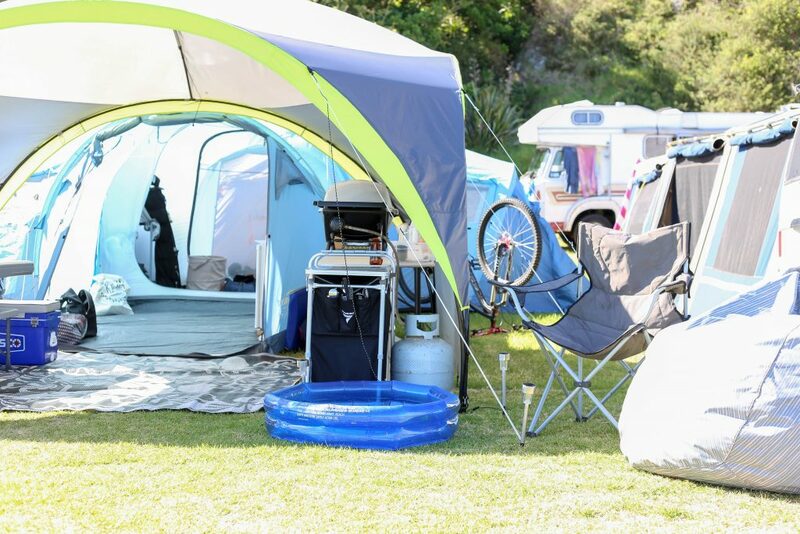 It is cheap as chips and I keep mine folded up in the boot of my car all year round as a beach mat but it is perfect for camping to help keep all the grass and sand out of the tent. A dining table and chairs. 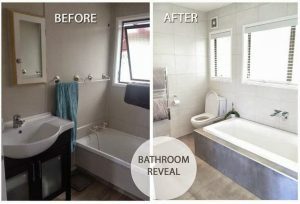 This is something that we invested in this year just before we went away with the boxing day sales and I am so glad that we did. It was awesome having a place to sit and eat, play cards and just hang out altogether. Ours is a Kathmandu one and it folds up into itself which is great. The Kitchen is another last minute investment we made this year in the sales. Its from Torpedo 7 and was perfect! 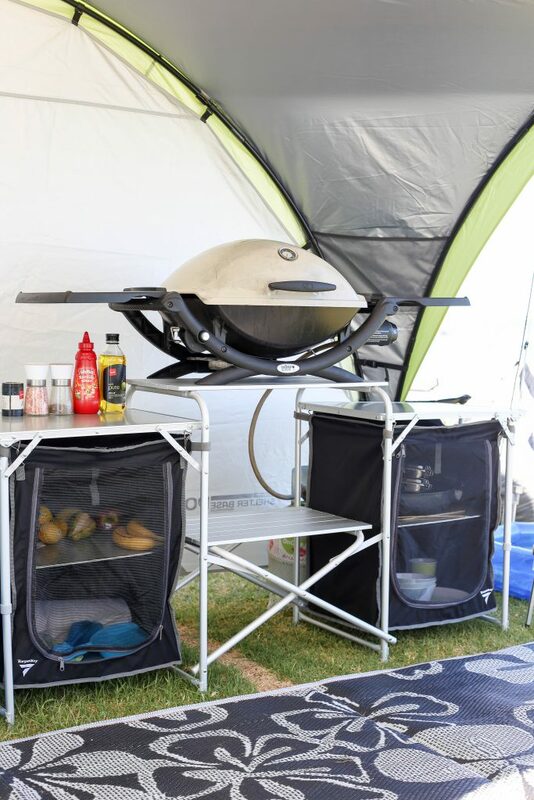 Having the cooker up high, out of the way and safely away from the kids was awesome and I find storage a huge factor in making a camping trip more functional. I kept all our fruit and vege that didn’t need refrigerating in this kitchen away from the birds and bugs. I also stored all our cleaning supplies, cutlery, cups, plates, bowls and utensils in it. The weber we borrowed for the trip. The fold out table wasn’t entirely necessary but it was great to have the extra bench space for prepping our meals and storing things out of the way. 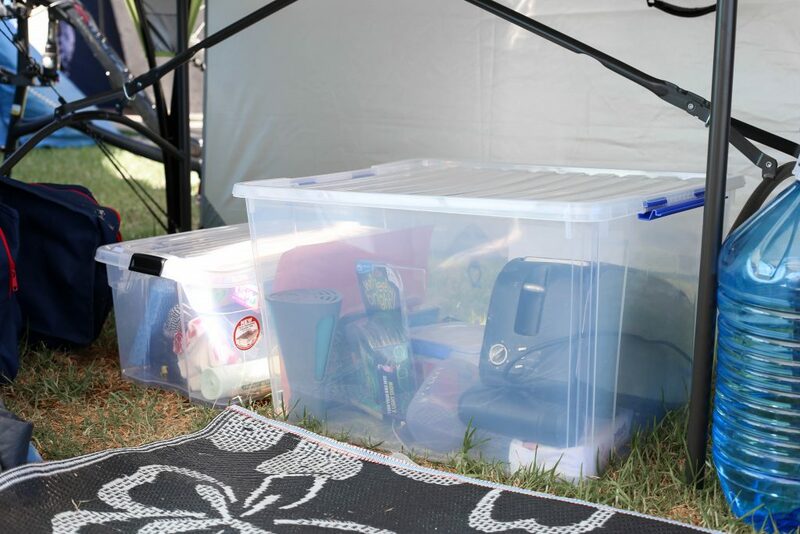 I keep all of our camping gear in large systema storage boxes. 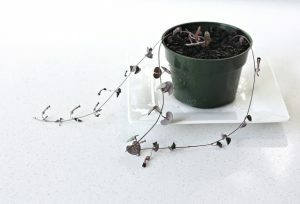 That way it can be stored away easily and pulled out and transported in the same way. Once we are away it also helps keep everything tidy and safe. I have 3 boxes. Two small ones. 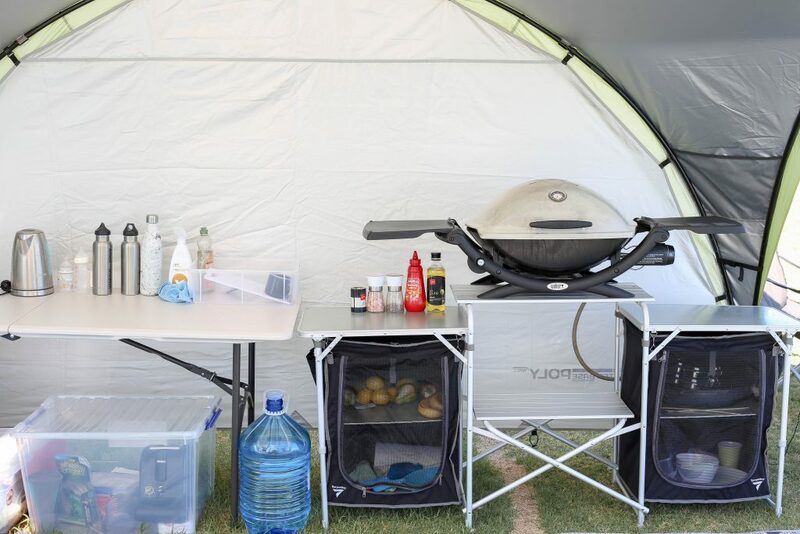 One with our electrical type equipment (torches, batteries etc) and one with knives, forks, utensils, cups, napkins, bench spray, dish soap etc. The big one pictured above has any over flow and then space for me to throw in the toaster, kettle (we only brought the kettle this year for Millen’s bottles, next year I bet it will be replaced with the nespresso!) my ninja and the Dyson…yes I brought my vacuum cleaner!!! When we get home I then store one of the little ones inside this big one with some other supplies. This year I grabbed a pop up garden bin from The Warehouse for $10 and used that as our rubbish bed. It worked perfectly. 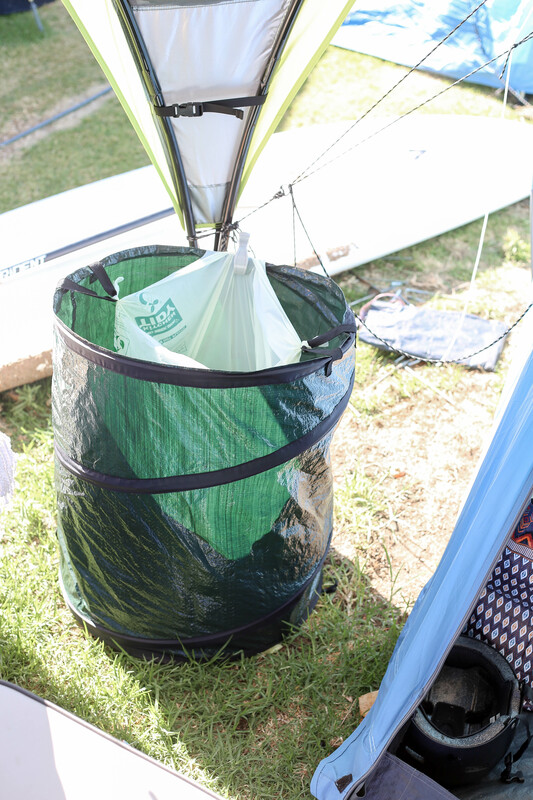 We attached one of our biodegradable bin bags to the inside and although it didn’t fit perfectly it worked out well as we were able to throw our recycling straight into the big and then our rubbish into the bin bag. This worked a lot better than previous years where we just tied a bag to the tent/shelter. All of the above is outside under our Zempire shelter. 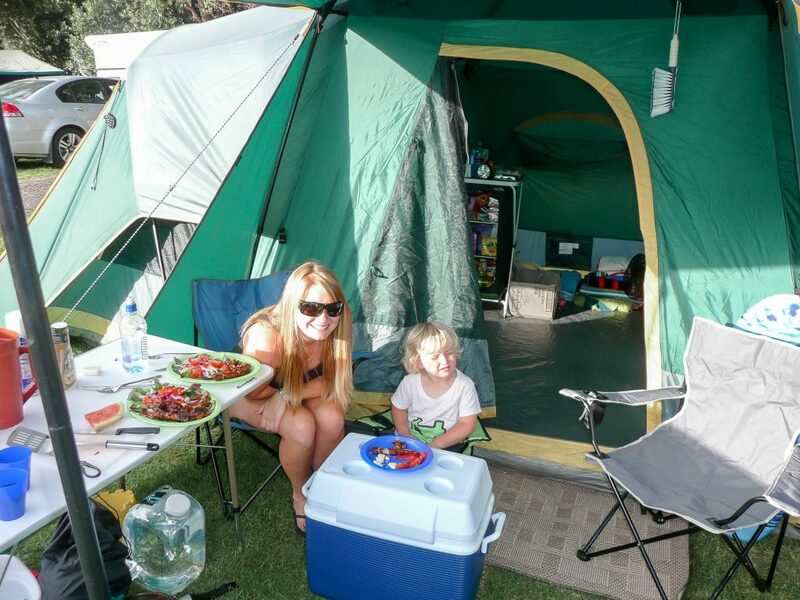 Then moving into the tent we have an area where we keep the fridge, pantry and store other extras. For example the buggy lived in here when we weren’t using it along with the kids bags of toys. 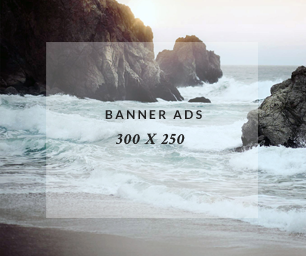 The fridge is a game changer if you have a powered site! 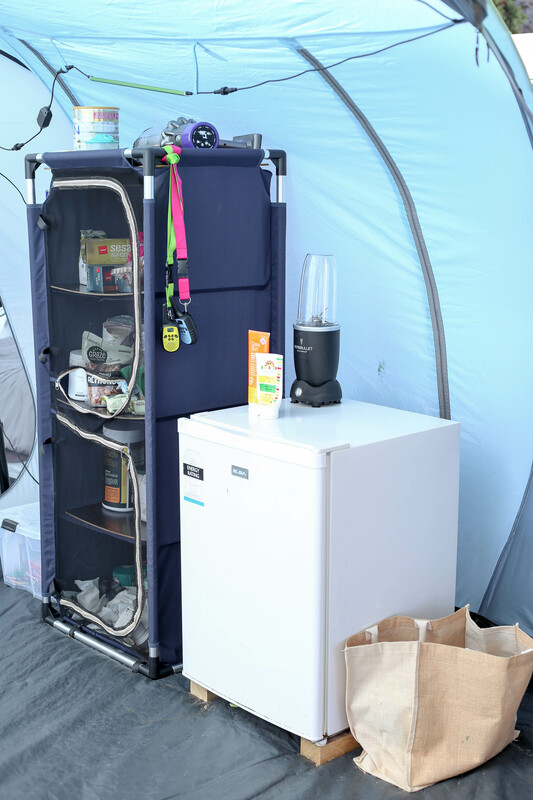 being able to store all our food safely in our tent and not have to try find space in the communal kitchen fridge made prepping meals 10 times easier. It also meant we could take a lot more with us. 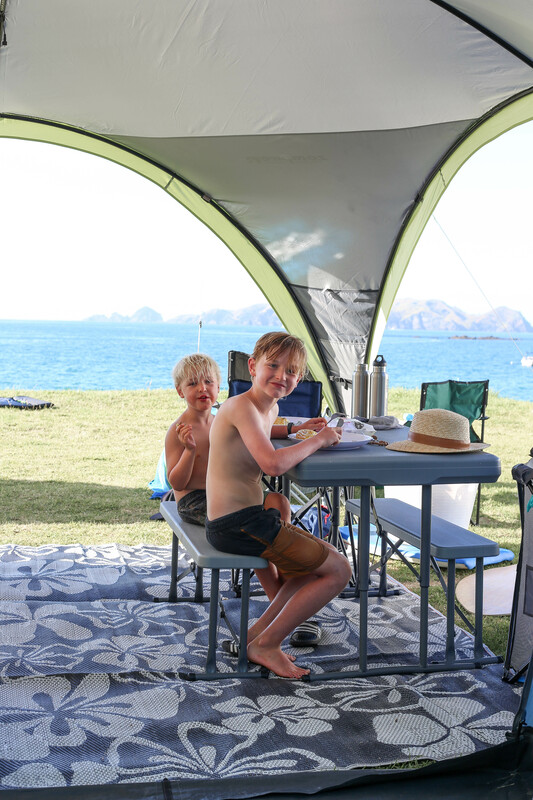 We scored this little gem on trade me before last years trip, and we will likely sell it and get a slightly bigger one with a freezer for our next trip. We also use an Ice-Box for storing our food but it doesn’t stay frozen for long and that usually just ends up housing all the beersies! I scored this Kathmandu pantry on Trade me for this trip as I wanted as much storage space as possible. In previous years we only had one small pantry to use and we always ended up with bags of stuff all over the place. My nutri bullet for my morning smoothies was a must have. I live for my smoothies! The other container I mentioned before that holds all of our batteries, torches, extension cords and electronic bits and bobs lived just beside the pantry. Walkie talkies! 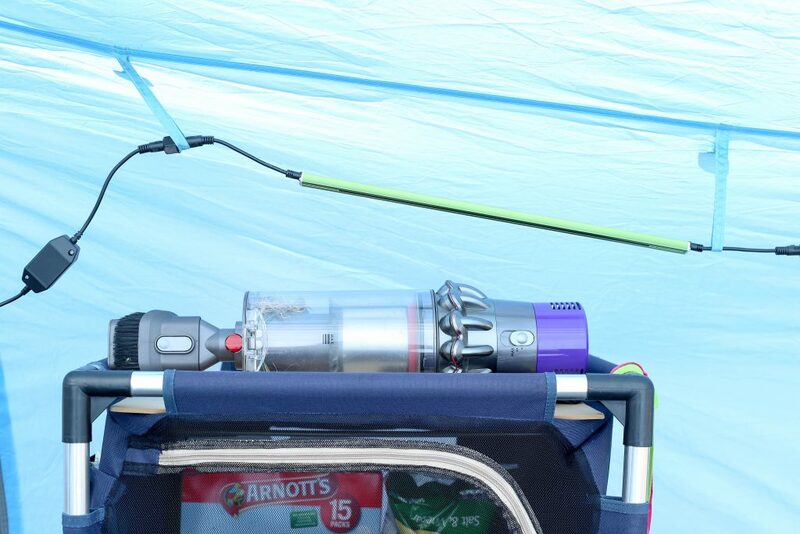 If you are camping with kids these are a MUST!! we had 2 to start but I bought the boys a set of 4 for Christmas as well so we had 6 to take with us. 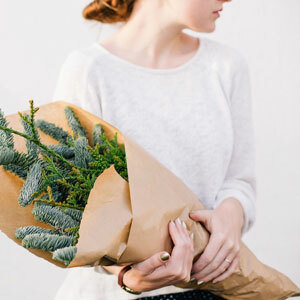 That meant that each of us could have one and then they could give one to their friends to use as well if necessary. 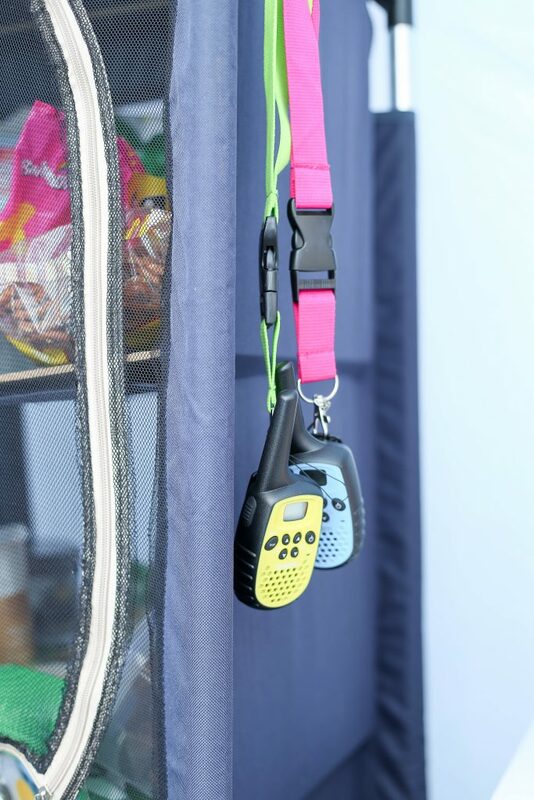 They also all link in together so our friends who come camping with us had their kids set theirs to the same channel so we could all keep tabs on the kids easily when they were off adventuring around the campsite! Having mine on Lanyards was also a great addition this year as it meant it was easy for the kids to chuck on when they went for their bike rides. I mentioned my Dyson before. I simply brought my vacuum cleaner along like this and used it instead of a brush and shovel. 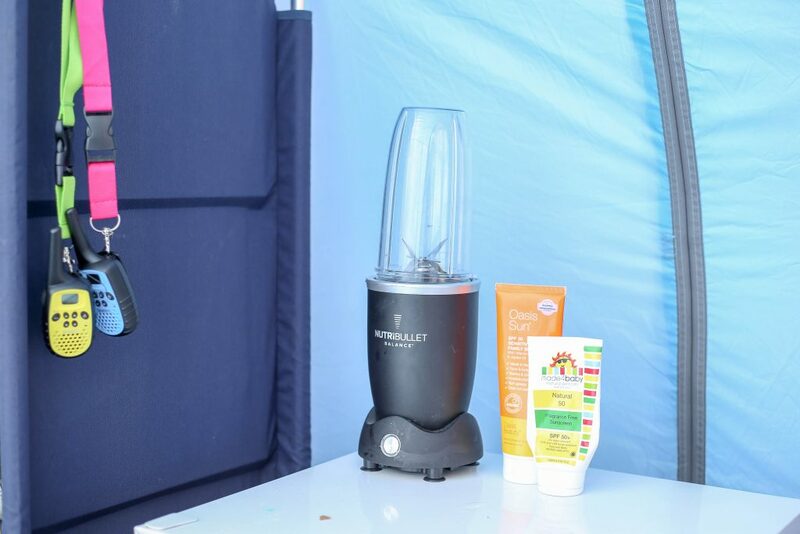 I could quickly vacuum up the sand and grass from inside the tent and it was awesome for the boys beds as they seemed to bring half the beach into bed with them every night. Good lighting is also a bit of a deal breaker! I bought this lighting kit from container for for about $80 and it was so good. There were about 5 led strips that all connected together and had a dimmer and switch. We had these here and out to the shelter. 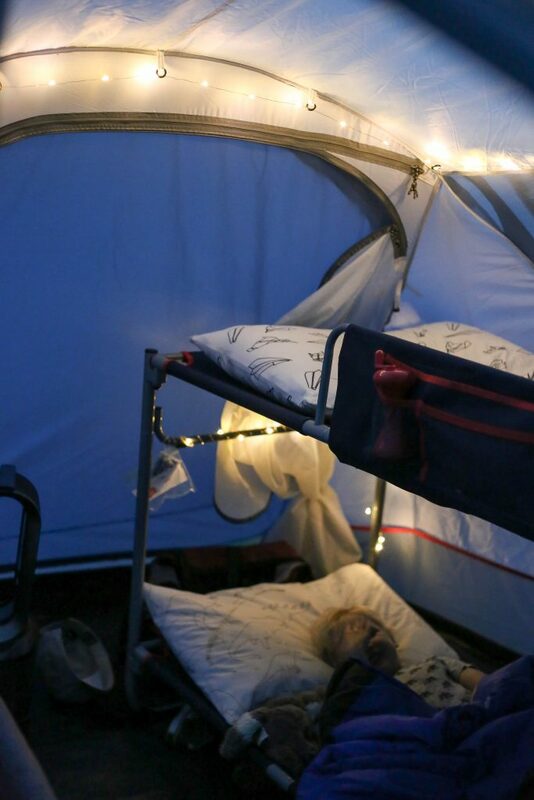 We just used a torch for inside the tent at night as the kids had their own lights sorted and we would just sneak into bed once they were asleep anyway. Last year we had about 2-3 days of solid rain (actually it was a bloody cyclone and I thought we would blow away) so packing toys and rainy day activities I knew was essential just in case. 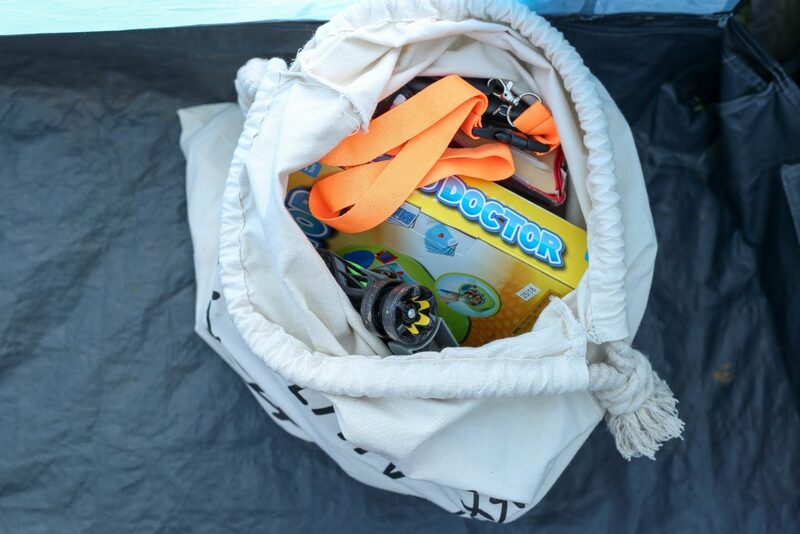 We didn’t really use these much but each of the boys just picked some toys and books and popped them in their santa sacks. It made it simple and easy for storage, cleaning up and staying organised! 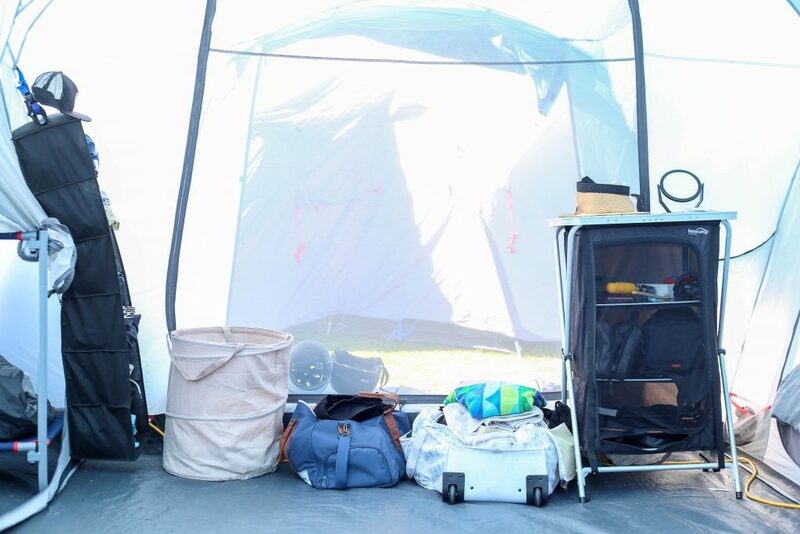 We managed to squeeze all the boys into their own room so we were able to utilise this middle part of our tent for bags and storage and getting ready etc. I used our old small pantry as a place to keep all my valuables, books and toiletries. 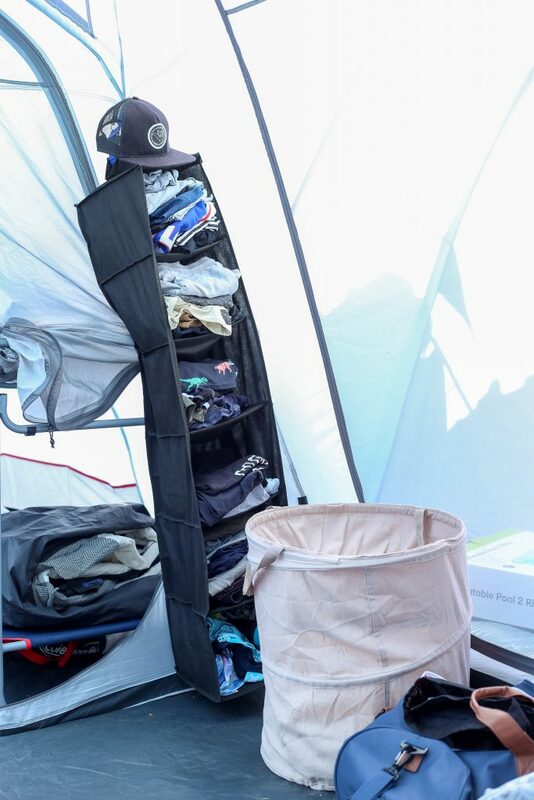 This year I grabbed a pop up laundry basket from Kmart to bring with us and it worked a charm. It held all the washing from all 5 of us for 9 days. In previous years I end up with piles of plastic bags ripping open with washing squashed inside. This way it was all out of the way in an eco friendly bag and I was able to just fold it down and store it in my large systema container till our next trip. The hanging storage was also a new addition this year (also from kmart). I only hung it on about day 3 as initially I had the boys bags lined up next to ours but they were pulling everything out to find their clothes and throwing it back in and it was getting very messy! It was another game changer. It had 6 compartments so I used each compartment for undies, shirts and shorts for each of the big boys and attached their hats to the top! The boys have always just had blow up air beds on the floor. It meant that their beds would be the only things that fit in their rooms, which was fine but with the addition of Milzy we thought we would look at our options. 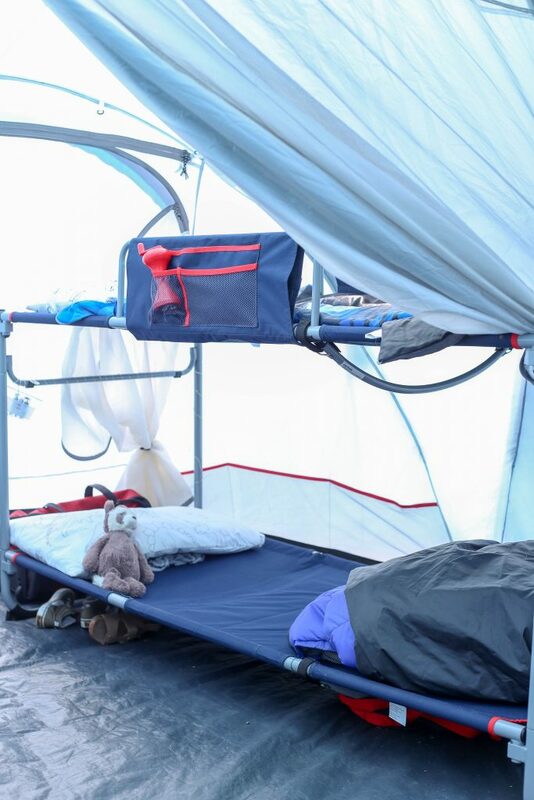 We found the bunk beds at Kathmandu and they were on display in the same tent that we use. 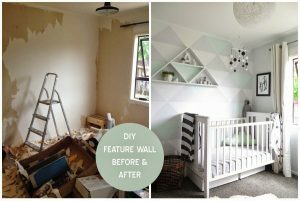 We were amazed at how much more space they created so we made the most of the sales and grabbed the boys a set of bunks. 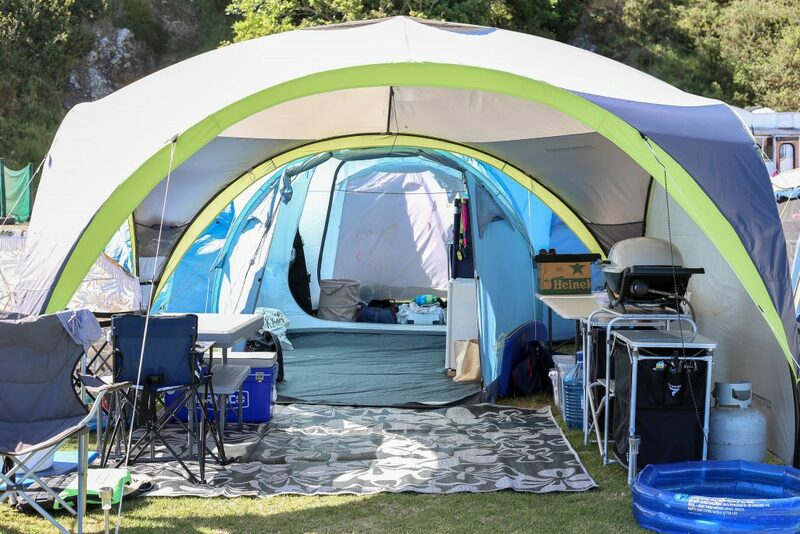 Unfortunately we didn’t realise that the newer versions of the tents must be slightly bigger as it was a squeeze getting them in here and we weren’t able to easily zip up the room but that wasn’t a biggie! It was still a big improvement from the blow up beds and the boys thought they were amazing! The Dyson air purifier was another saviour this trip. Milzy started sleeping through the night from the first night of camping. I put it down to the fresh air, sleeping to the sound of the ocean and a cool breeze to go to sleep with and a heater to keep the temp constant in the early hours of the morning! I just set it to 20 degrees and it kept it nice and warm when the temperature dropped in the early hours. I always take a set or two of battery powered string lights with us as they are the perfect solution to lighting the kids rooms easily. I threaded one set up along the top of the tent for Kylan and then one around the bunk bed for Arden. 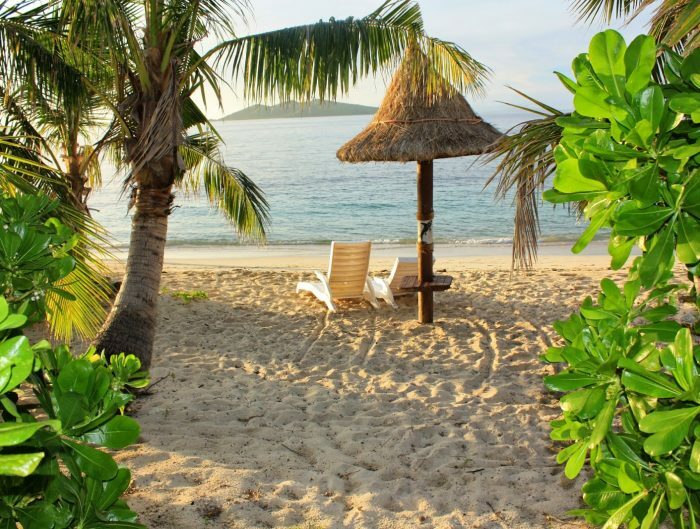 Our little sanctuary…well not really. There really is nothing like your own bed am I right? Well we actually ended up going to the local town halfway through our trip to buy a new air bed. Come 3am we were basically sleeping on the floor on the old one and we couldn’t hack it any longer! I always bring a duvet for us instead of sleeping bags. To pack it I popped all our linen into a vacuum bag to make it nice and compact to get to our destination. We had more room heading home so I didn’t need to bother on the way home, although I did have the Dyson with me in case I needed it. A FAN! 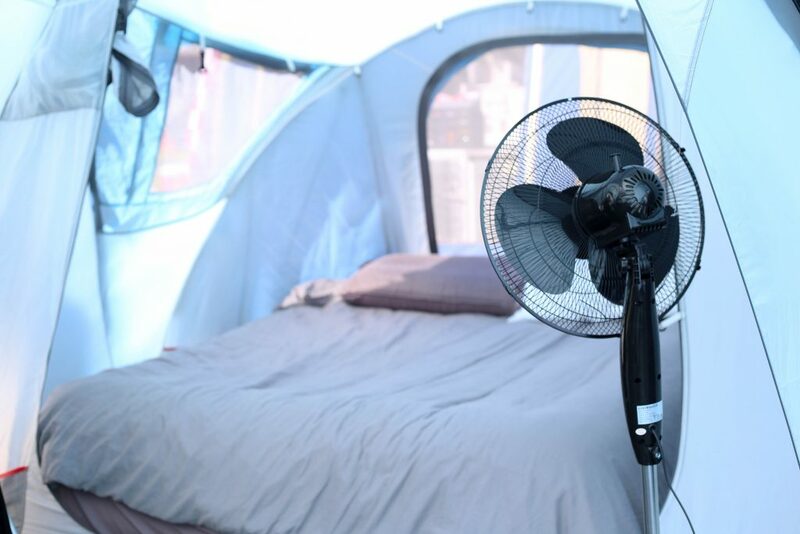 Its a must for us…we actually couldn’t sleep without a fan! Heading back outside! 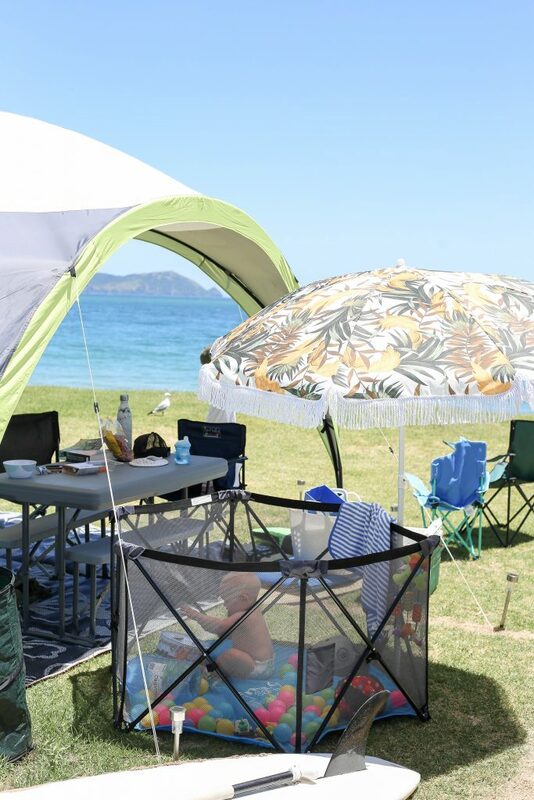 The playpen was a last minute ‘must have’ as Milzy had just started crawling and the thought of being beachfront with him on the move was rather daunting. He actually didn’t venture far or fast whilst away in his new environment but it was great to have as an option to plonk him somewhere safe and sound if I needed to do anything! I found Millen’s one on trade me, brand new. It folds down to the size of a camp chair folded up. The brand is Perma. Bringing the beach umbrella was also a great call. It shaded Milz when he played outside in his pool or playpen and we took it down onto the beach with us as well when we were playing in the sand. 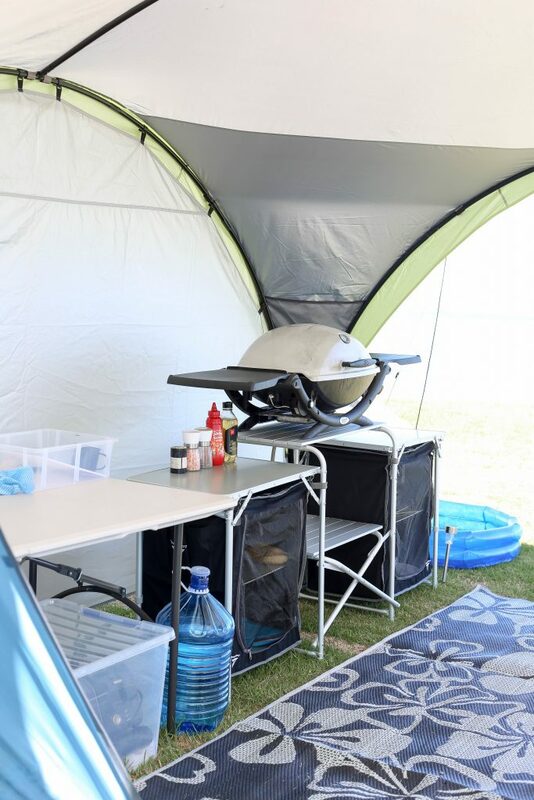 We brought along camping chairs again this year…but with our new table and chairs we rarely used them. 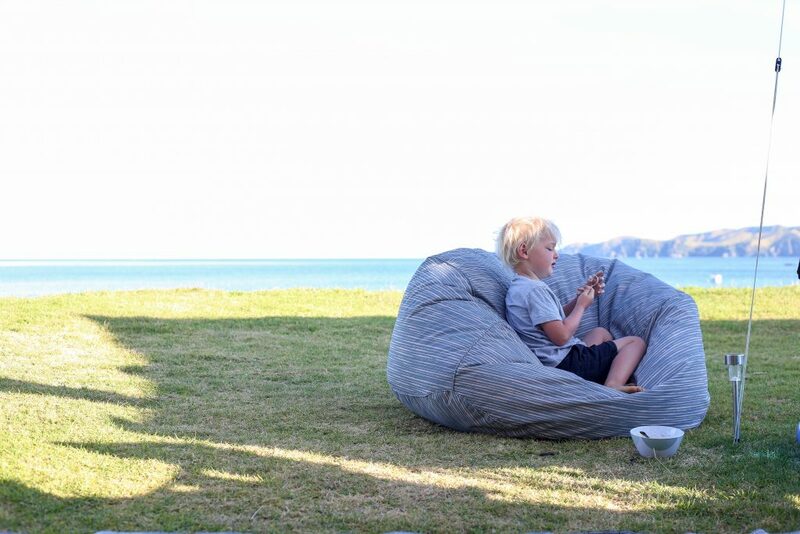 I don’t think the kids ever used their ones, and I would always choose my beanbag over the chair for lounging around. We would take them to our friends sites though to hang out so would still take at least the adult ones again next time. But my bean bag is my must have seating item! The blow up paddling pool was another genius idea. We would fill it up and leave it in the sun and come time for Millen’s afternoon swim it was beautifully warm…sometimes even too warm. Along with the paddling pool, having the flexitub for baths was really handy. When it wasn’t being used for bathing it was used to wash off sandy feet or quickly cool off burning toes after running up the scorching hot sand to the tent! 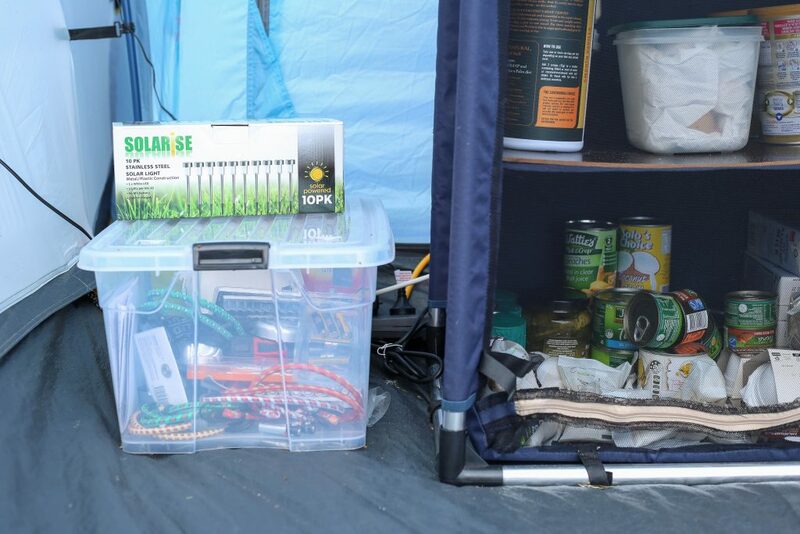 In previous trips we noticed people using solar powered fairy lights and garden lights around their tents for automatic lighting at night. 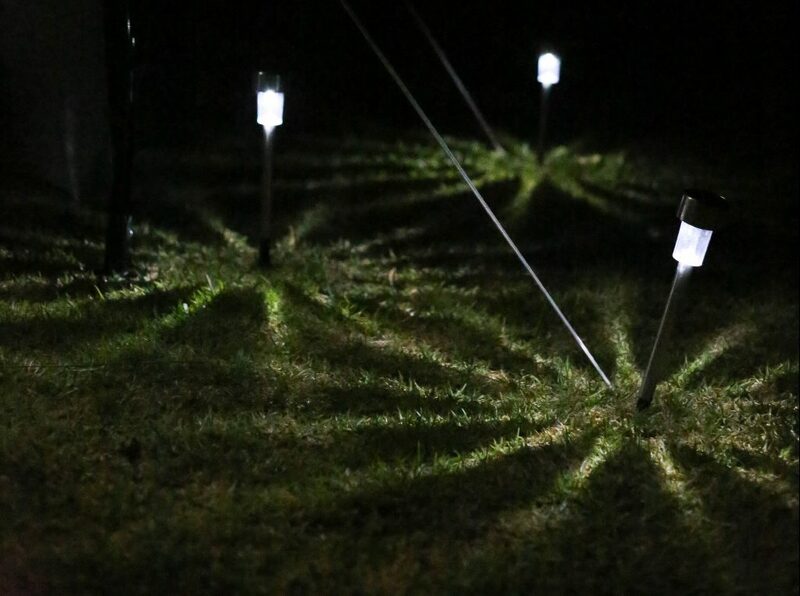 So I followed suit and grabbed some solar powered little lights from Mitre 10 and popped them at each of the guy lines to avoid anyone tripping up at night. Last year camping I was 23 weeks pregnant and making multiple toilet trips each night and always tripping up on the tent ropes so I thought it was a genius idea! It also made for a very pretty set up come nightfall! Another item which isn’t in any of the photos but was used every day was a clothes horse. I just packed my one from home as it folds down flat. Having somewhere stable to hang all the wet towels and clothes each day is very handy. We kept ours out the back of the tent, out of the way and It helped keep the area feeling tidy as there wasn’t towels and clothes draped everywhere. If you have bikes, take them! 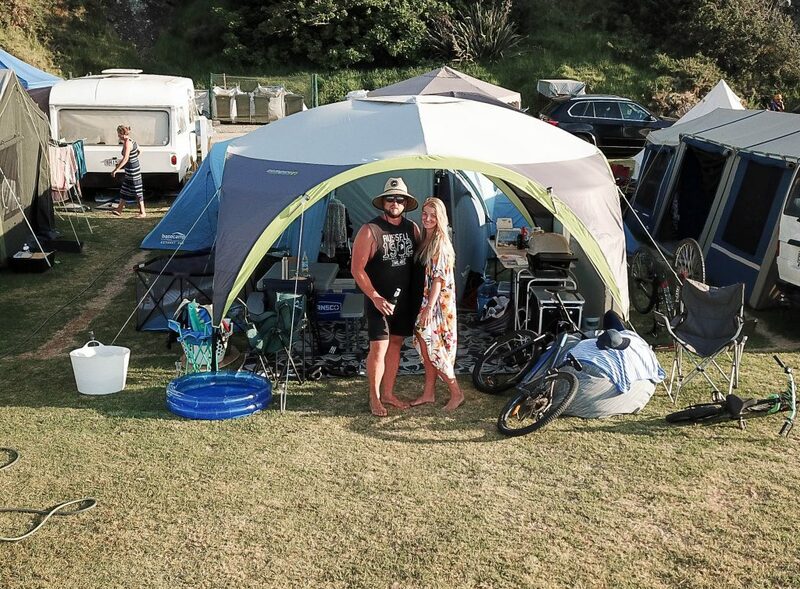 The kids ride around the campsite all day long and it makes a quick trip to the loo a whole lot easier if you can jump on the bike and ride over, especially if your site is quite far from the toilet block. I also meant to pack a hose pipe this year and forgot. We were lucky that we had a great set of neighbours and they had one which we were able to use. I think I have covered off everything. 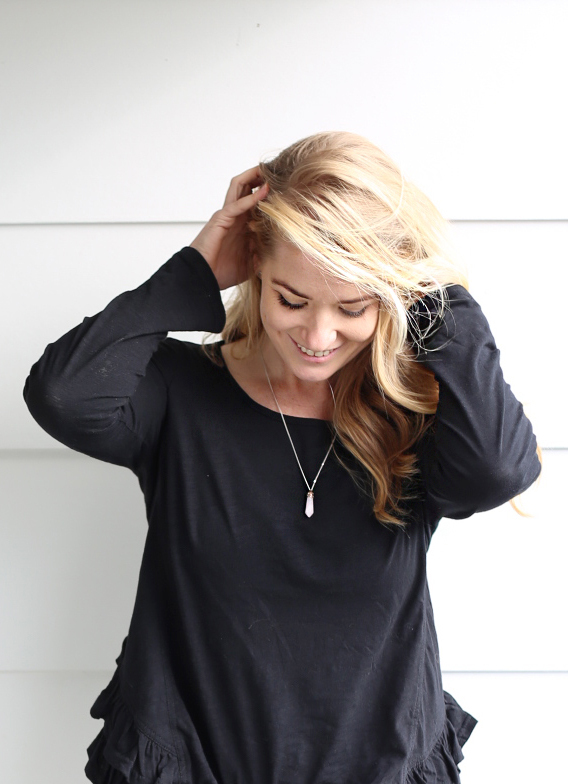 If you have made it to the end well done…it was a rather long winded post but I had so many questions I felt the best way to answer everyone was to get all the info down in one post. 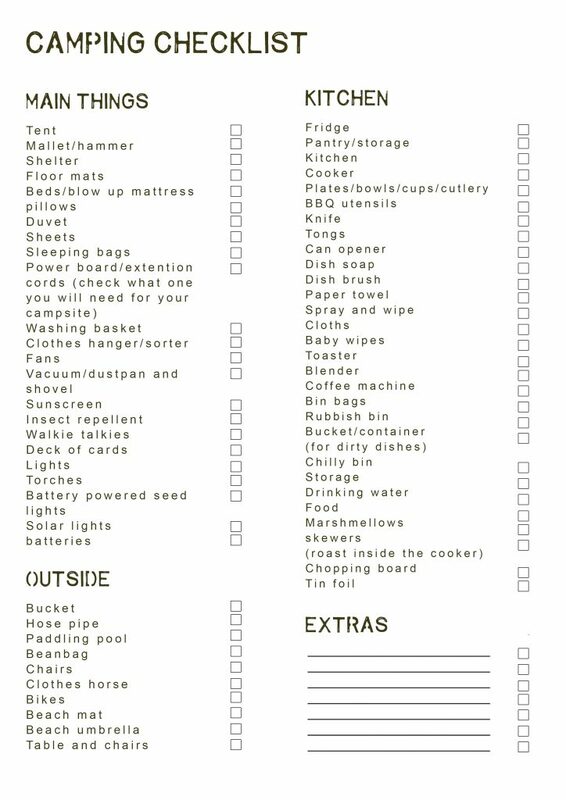 I have put together a camping checklist for you guys to download to help make sure you have all the essential (and not so essential) items to make your camping trip as comfortable and easy as possible. Thanks for popping by and I hope you get out and enjoy the outdoors after reading this!